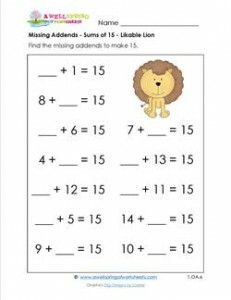 While you’re filling in the missing addends go ahead and reach your hand out to pet this likable lion. He’s cute and sweet! 12 problems, both addends missing.